YOU CAN SEE OUR CURRENT COMPETITION HERE. Whether you want to go for complete retro glamour, or just introduce a few key vintage pieces into your day-to-day wardrobe, Style Me Vintage Clothes shows you how. Packed with tips on how to source the best vintage clothes and accessories to create an authentic and timeless look. I’ve always loved vintage style, but never really had the confidence to really start wearing vintage clothes- I’m more somebody who’ll perhaps accessorize with a vintage bag or some vintage jewellery rather than try to re-create a whole 1950s outfit. After reading this book though, I think I know what I’m doing enough to give it a try! 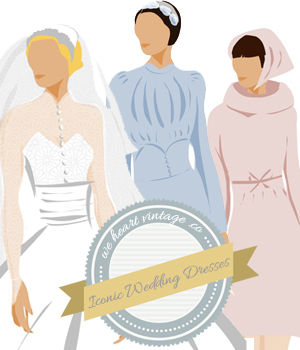 It starts with basics such as ‘What is Vintage’ and includes a useful guide on dating vintage clothing and tips about how to create your own vintage look. The rest of the book is devoted to the different key looks from the 1920s through to the 1980s, with a separate section at the end on underwear and swimwear styles. For each decade there are photos and a description of the fashions which defined that age and a useful shopping list of vintage items for creating both day and evening looks. It also details what was new in each decade and how to create both a formal and an informal look from that time. This book is great for anybody who would love to wear vintage clothes or create vintage-inspired styles, but isn’t sure how to start. It gives enough guidelines and helpful advice to give you enough confidence to give vintage a go! I’ve got one copy of this great book to giveaway – if you are interested, just drop me a comment below and I’ll pick one lucky winner! Style Me Vintage: Clothes: A Guide to Sourcing and Creating Retro Looks by Naomi Thompson : A guide to sourcing and creating retro looks is available now from Amazon and lots of other places. YES! I NEED a copy of this book! It would be a great resource for inspiration for my senior design collection. I am a fashion design student at Baylor University and I’m starting to design my collection now for next year. I want it to have a 1940’s feel to it and this book would be great to help style my garments. This is excellent. Looks fabulous. Tons of eye candy in this one – especially that gown at the bottom of the stairs…drooling!!! I need this book in my life. I love vintage clothing, especially the ’50s and ’80s but I don’t want to look dated. This looks so interesting, and like an essential addition to any vintage buyer’s bookcase! I looked into ordering it though work (I work at an independent bookstore) only to discover that, though the blog I’d seen on it (I believe by Ms. Thompson) stated an April release date my title bank, the one made available to independent book sellers in North America, had a June one! I’m a 50s girl! Would love this book! Thanks for the opportunity! Hello!!!!! I`m a Fashion Designer Teacher and i need this book, not only for my classes, but for me and my creations, it´s so beautiful, inspirational and necesary have this type of information. I am Colombian and I live in Pasto – Nariño. I’d love to have this book, for my students would be helpful, and my great!! thanks. I’d love to win this. It looks fabulous. It’s my 40th birthday in August & I’d really like to have a vintage tea-party themed get-together for a few friends and family. This book looks as if it would be a great source of inspiration. I’ve been busy buying vintage tablecloths & crockery – if only I can figure out how to use my heated rollers now! The book looks great – I love looking at images form the 40s and 50s, and have tried to match my wardrobe with what I find – but to have such a descriptive book to help me out would be brilliant! Beautiful book! Would love a copy! What a wonderful book. Yes, please. I love the beautiful vintage prints. This book would be a great inspiration. Want to start my own vintage-inspired collection…. this would be a great resource for me! I am an “old soul”… should have been born in the 50’s… love vintage and love your blog! Keep up the great work!